7201 Red Lion-Five Points Rd. 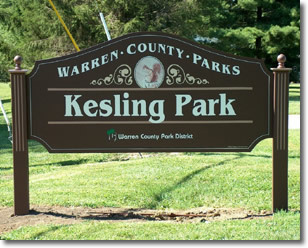 Kesling Park is in Clearcreek Township 1.25 miles southeast of Springboro, Ohio and 8 miles north of Lebanon, Ohio, and 3.5 miles west of I-75 and 7.5 miles east of I-71. Kesling Park is a 15-acre tract of land. 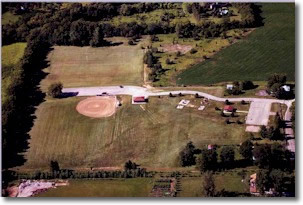 The land was a donation from the Kesling family through NCR of Dayton, Ohio. 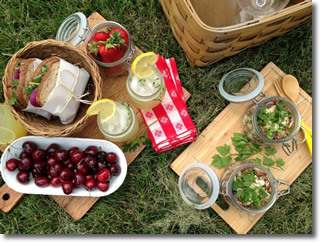 The park consists of 2 picnic shelters with tables, sand volleyball court, basketball court, 2 swing sets, 5 soccer fields and one baseball field with dugouts. A drinking fountain was installed on the concession building. The park is slightly rolling except for the soccer fields and baseball fields. The soil is primary Dana Series, is has a dark grayish brown, and the upper part of the soil is yellowish. 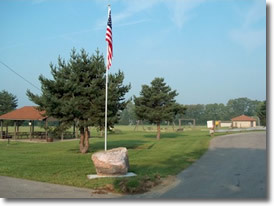 The park is located in the north central part of Warren County. The water shed flows southwest into Clearcreek.